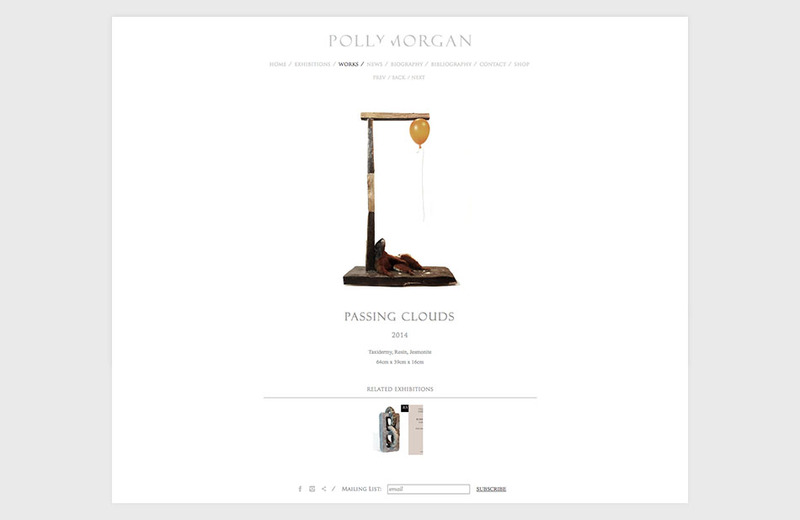 Website for London-based British artist, Polly Morgan, who uses taxidermy to create works of art. Having already designed her logo, Polly invited Fruitmachine to design and develop her website. Being her first website, we very aware of the impression first made on visitors to the site, and already knowing how we were going to have to structure the website to allow visitors to browse and continue browsing freely, we focused on getting the homepage right. We made sure that the time was taken to carefully consider the rules that would allow for a perfect marriage between the PM logo and Polly’s artwork, bearing in mind that Polly and her staff would be managing the site themselves. In the end we provided a template that they could simply drop any work into and position per our instructions. 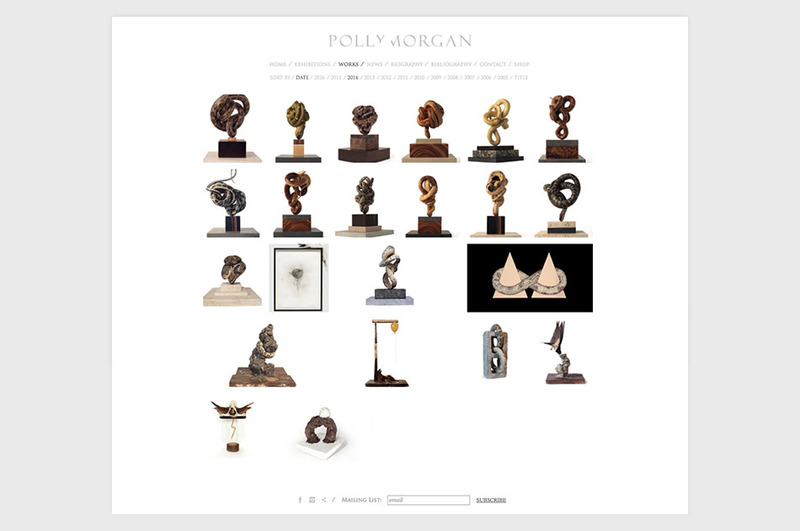 The classic design style of the website takes reference from the tradition of taxidermy and the documentation of the practice, while having a modern layout that acknowledges the artworks Polly is producing. Polly Morgan’s typographic identity is modelled on a precise cut of her scalpel. And rather than be seen as removing something from her name, the incision is a space that is used to bare and reveal. This also includes a e-commerce site to sell selected artworks. Having already designed her logo, Polly invited Fruitmachine to design and develop her website. 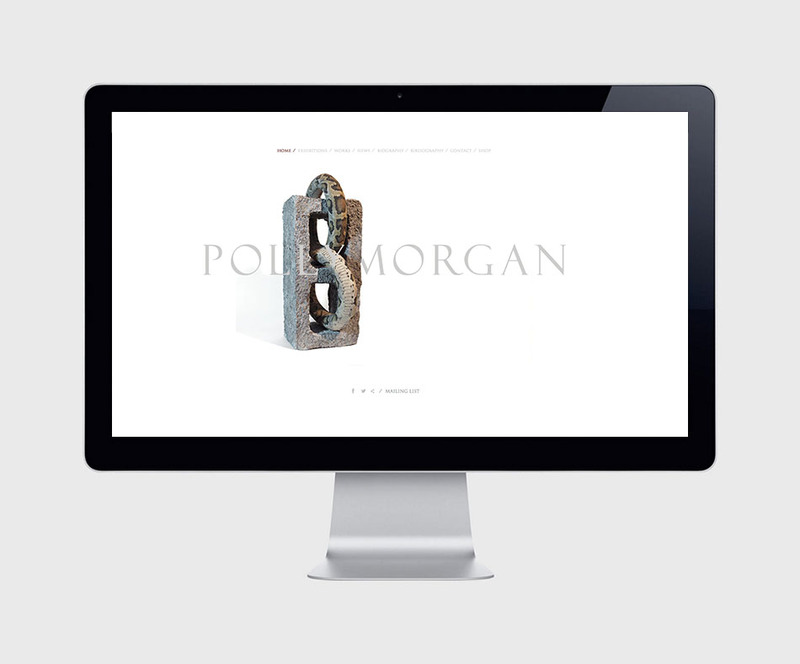 Polly Morgan’s logo is modelled on a precise cut of her scalpel. The incision is an intentional design feature to convey deeper detailing. We considered ways of marrying the style of logo and Polly’s artwork and then unifying this into the website design. 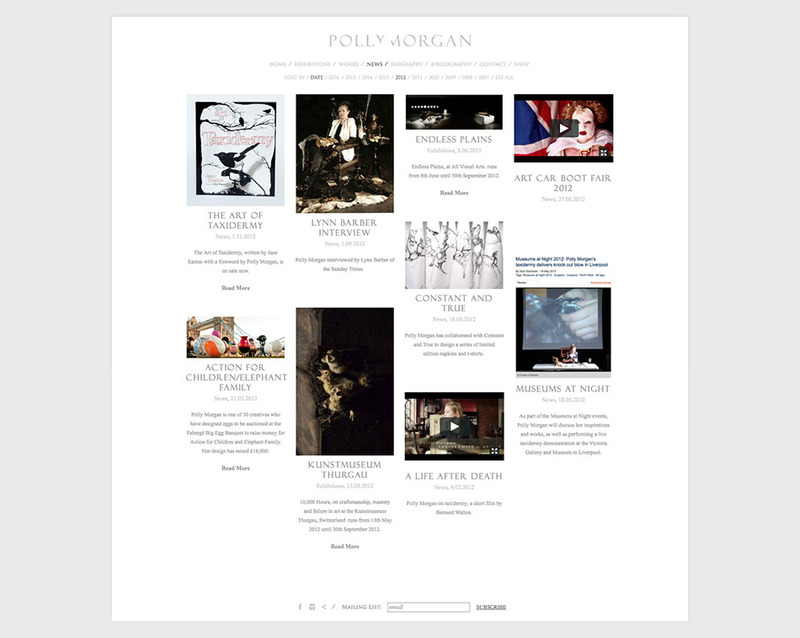 The classic design style of the website takes reference from the tradition of taxidermy and the documentation of the practice, while having a modern layout that acknowledges the artworks Polly is producing. It was essential we designed a dynamic template that Polly and her staff could manage themselves by simply dropping content into position. The site also includes an e-commerce site to sell selected artworks. Created a type base logo for Polly Morgan’s identity, resulted in a logo that is subtly cut, hinting a the precise slash of Morgan’s scalpel. We created a portfolio website to house the various artworks. This also includes a e-commerce site to sell selected artworks.